Kids along with their parents can also learn how to complete the “What’s the Matter” project in the June issue of Popular Mechanics and online here. 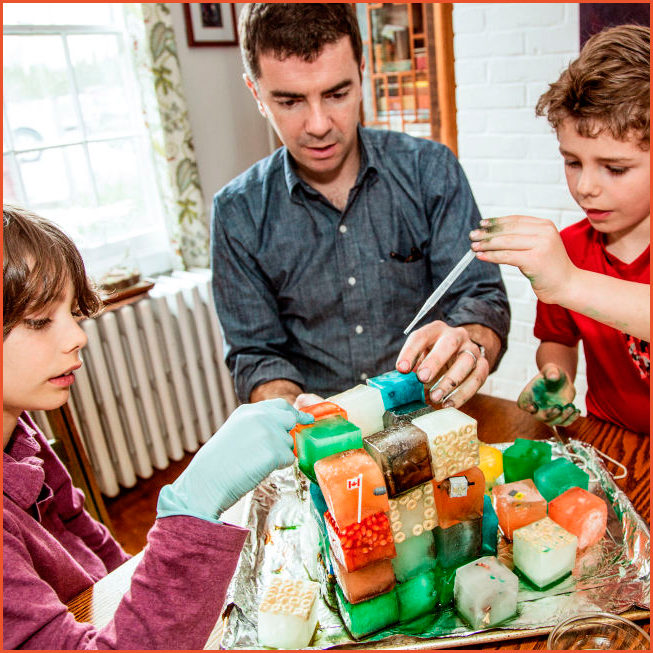 Popular Mechanics Editor-in-Chief Ryan D’Agostino and his kids built the “What’s the Matter” project using the Groovy Lab in a Box kit for the feature in “Popular Mechanics for Kids,” a monthly section that outlines projects that support hands-on learning and STEM basics. Groovy Lab in a Box was named a winner of the Popular Mechanics 2014 Toy Awards, which recognizes the best new toys of the year with a heavy emphasis on STEM-related skills and outdoor or imaginative play. 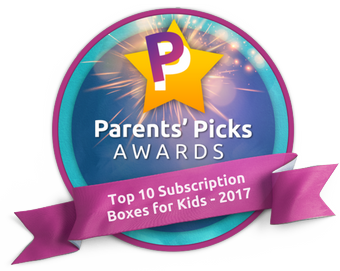 Recipients of the Toy Awards encourage problem solving, inspire creativity, spark imagination, and spur mischief. And they’re fun. An annual Groovy Lab in a Box subscription costs $24.95 per month. For more information and to start a subscription today—including a special Popular Mechanics box—visit groovylabinabox.com or call 888-938-3848. About Groovy Lab in a Box and Academics in a Box, Inc.
Groovy Lab in a Box is a product line of Academics in a Box, Inc., a producer of innovative, Next Generation Science Standards-based, hands-on Science, Education, Technology and Mathematics (STEM) products for children ages 8 years and up. The product line is the brain-child of Academics in a Box, Inc. president, Elaine Hansen, former scientist/STEM professional, educator and business leader who want to inspire children’s love of the STEM subjects and interest in STEM careers. What makes their Groovy Lab in a Box a standout is the unique engineering design challenge each project presents which leverages project-based learning and the triangular aspects of long-term memory knowledge. Today, parents and family members of children across the country, as well as home school organizations, school teachers, camp directors and others are using Groovy Lab in a Box to advance America’s STEM education mission. All Groovy Lab in a Box projects reflect the company’s commitment to sustainability and feature 100% recyclable and biodegradable materials. Additionally, the company fosters STEM education for children in underserved communities, sick children in hospitals, and adults with developmental disabilities through its relationship with VersAbility Resources. Popular Mechanics empowers readers to navigate the increasingly complex, technological world around us. The magazine, published monthly by Hearst Magazines, inspires, instructs and influences nine million curious readers. Their mindset—the hunger to know, the desire to investigate and learn—drives them to explore, experiment and experience a wide range of interests. Issues engage readers with breakthroughs in the latest innovations in science and technology. The magazine educates with informative “how-to” stories on automotive, the home and digital technology, and motivates action with product reviews and comparison tests of the newest equipment and products. Popular Mechanics is also the #1-ranked men’s monthly magazine when it comes to reaching an environmentally conscious audience. The brand is a 21st-century must-read, with a robust website (popularmechanics.com) and an award-winning tablet edition. Follow Popular Mechanics on Twitter, Instagram and Facebook. SOURCE Academics in a Box, Inc.